Israil Madrimov has signed a co-promotional deal with Matchroom Boxing USA. The talented Kazakh amateur sensation fights in Turning Stone Resort Casino in Verona, New York on Saturday night live on DAZN in the US and on Sky Sports in the UK. Madrimov defends the WBA Inter-Continental Super Welterweight title that he won on his pro debut in November in Atlantic City, stopping Vladimir Hernandez in the sixth round of their clash. The 24 year old puts the title on the line against Frank Rojas (24-2-0 23 KOs) on a stacked card topped by stablemate Dmitry Bivol defending his WBA World Light-Heavyweight title against Joe Smith Jr. – and the two-time Asian Games gold medal man is thrilled to be working with Matchroom Boxing USA along with promoters World of Boxing to weave his path to World title honors. 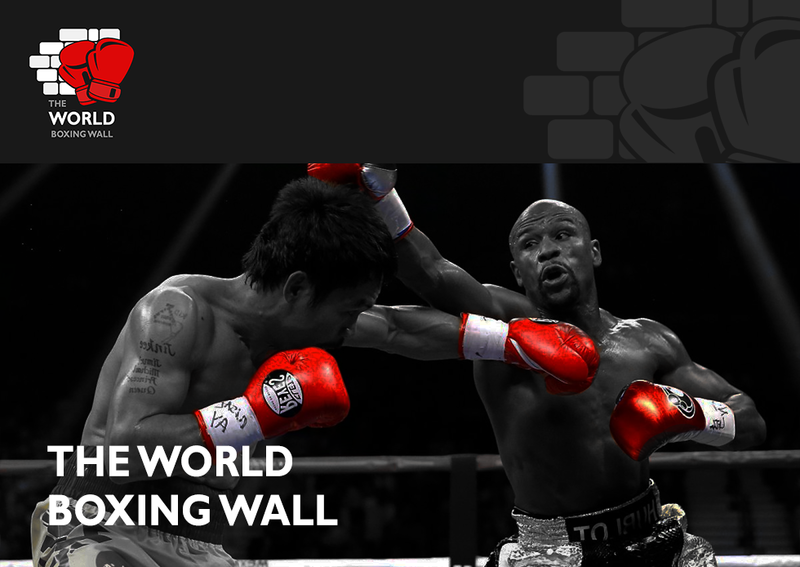 “”I’m very happy that Matchroom Boxing will be part of my team in addition to my promoter World of Boxing,” said Madrimov. “I know that they both have my best interests and will work for me to fight for a World title in the near future. “We have a very good working relationship with Matchroom Boxing particularly with Dmitry Bivol and look forward to building a stronger partnership including our combined efforts for Israil Madrimov to become a World champion,” said Andrei Ryabinsky, head of World of Boxing. 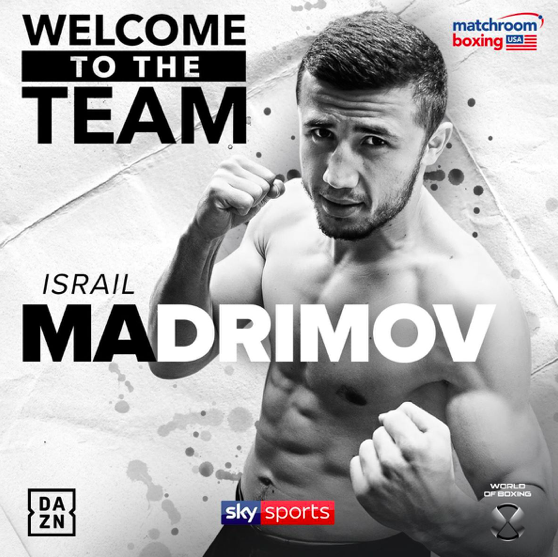 “I’m delighted to welcome the fearsome Israil Madrimov to the Matchroom Boxing team,” said Eddie Hearn. “Madrimov has already secured a top 15 World ranking after his first fight when he defeated Vladimir Hernandez over 10 rounds in November.